Prem Nath Film Festival to air on Zee Classic! What comes to your mind when you hear the words Prem Nath? The legendary actor who made us go wow with almost every character role that he portrayed on the big screen? *High Five*. The classical and exemplary actor, Prem Nath, who made his presence felt in more than 150 movies not only by bringing the characters to life, but also making them immortal in our memories. When everyone wanted to be the leading hero, Prem Nath opted to be antihero who made everyone cringe by his sheer presence. Be it any emotion, you already know what Bollywood demands, he had mastered them all and even Rishi Kapoor was quoted stating, “I haven’t seen any actor emote so well in my entire career." Right from being the villain who disseminated his thoughts and conversed by tapping on a glass in the movie Karz to being a terrifying saint in the movie Sanyasi, we kind of remember them all. Zee Classic with its proposition "Woh Zamana Kare Deewana" will air a four week film festival in the month of November, which also happens to be the month of Prem Nath's birth and death anniversary, titled Prem Nath Film Festival starting November 11, 2017. Okay, out of nowhere, a quick trivia. Did you know that Prem Nath was the maternal uncle of the Kapoor family? Ask Randhir Kapoor, Rajiv Kapoor and Rishi Kapoor to confirm! Apart from the movies, Zee Classic will also air a special feature created by his son, Monty Nath, titled 'Amar Prem Nath" which comprises of never seen before rare interviews of another set of celebrated actors and eminent personalities that worked with Prem Nath over the course of his film career like Dharmendra, Vinod Khanna, Manoj Kumar, Dilip Kumar, Shammi Kapoor, Rishi Kapoor, Jeeetendra, Shatrughan Sinha, Subhash Ghai, Amrish Puri and many others. 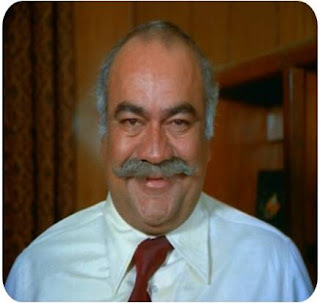 Amar Prem Nath, is the retelling of his journey in the film industry and his rise as one of India's much-loved villains. Monty Nath, who himself is a filmmaker, shared his thoughts about the airing of the feature and a few other celebrities who spoke about Prem Nath. So tune in to watch 'Prem Nath Film Festival' that takes us through his amazing films followed by a very special feature on him, Amar Prem Nath every Saturday at 8.30 AM and 11.30AM respectively only on Zee Classic!